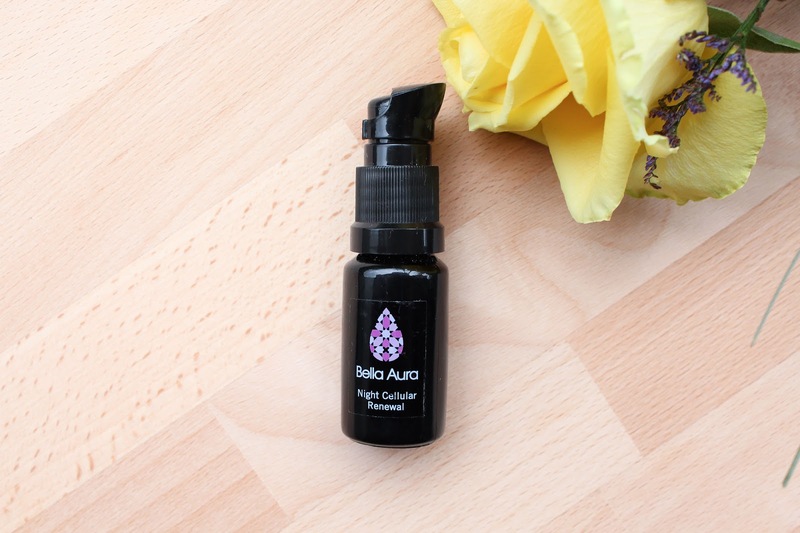 Bella Aura ("beautiful aura") is a Canadian brand elevated by Swiss expertise. 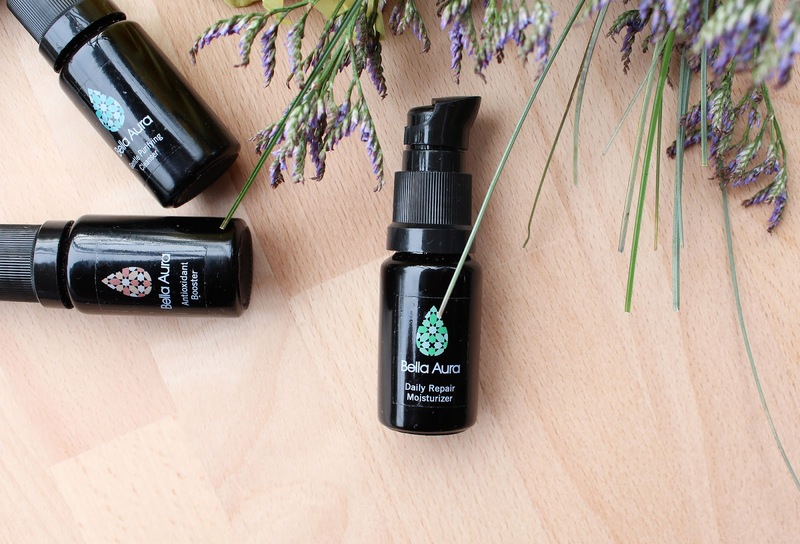 Their luxurious, natural skincare products are produced using the finest natural ingredients in the world. 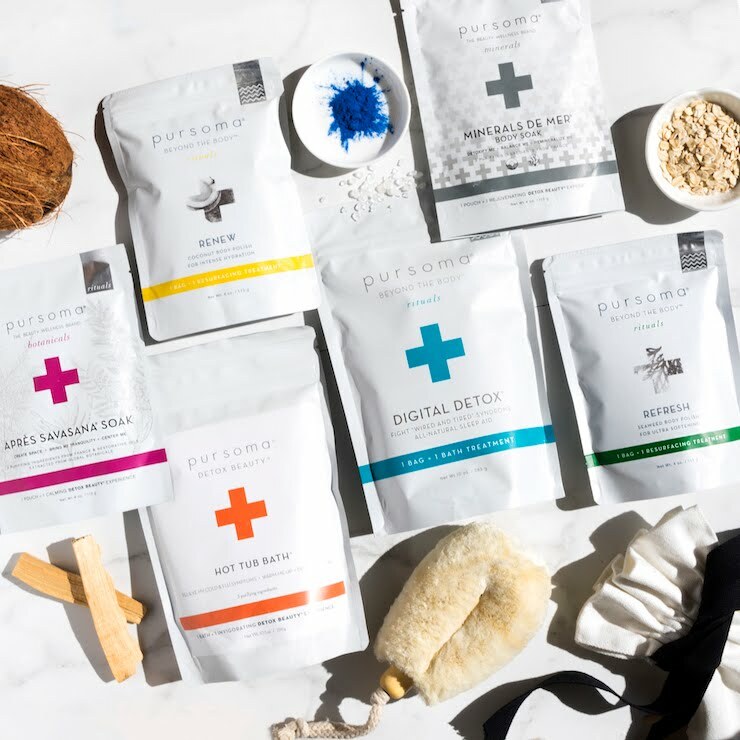 At Bella Aura, their mission is simple: to craft pristine natural skincare infused with groundbreaking technology so that your complexion radiates your pure inner glow. 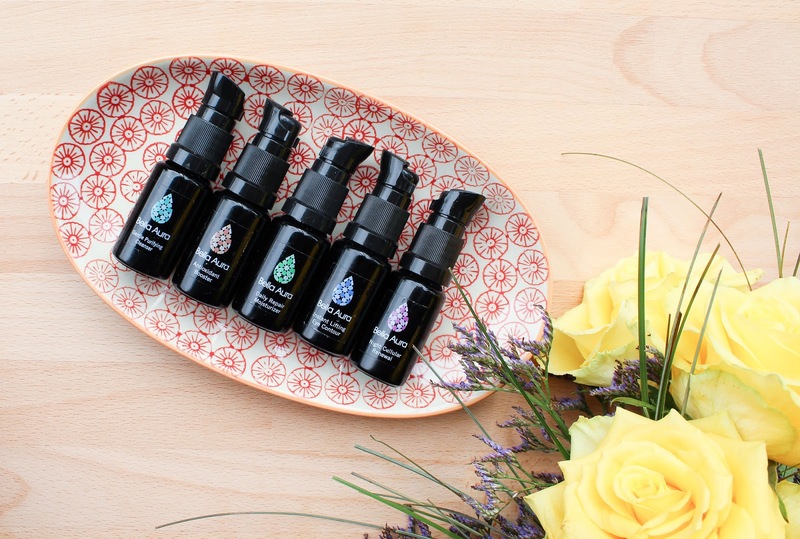 Bella Aura's collection contains five products and they provide a complete anti-aging solution. The interesting thing about this line is their formula which combines a serum and a luxurious cream (Emulsion). 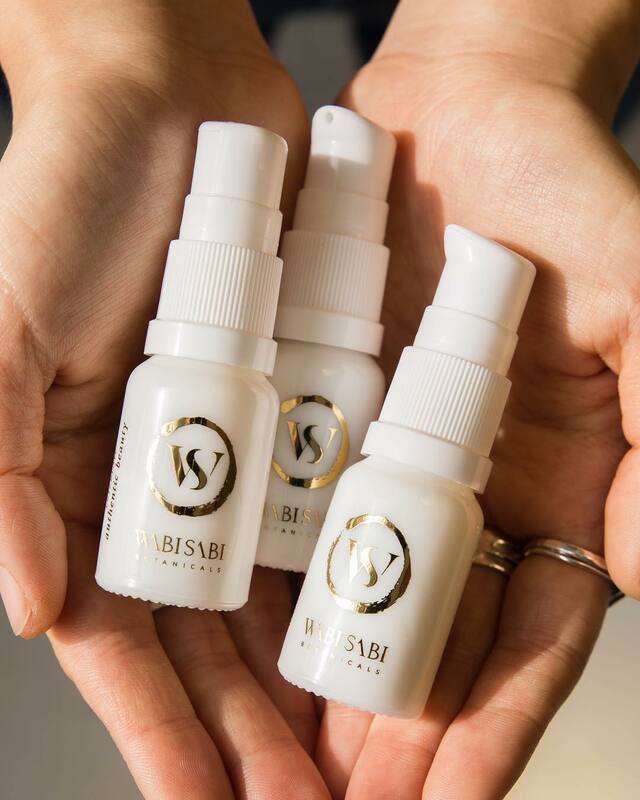 After talking to the founder Yasmine I found that in the 3 years of developing the product she started with a simple Argan Serum. She then added the other 3 oils in their Kamilah blend (more bellow) to create a serum, but the product was still missing something. 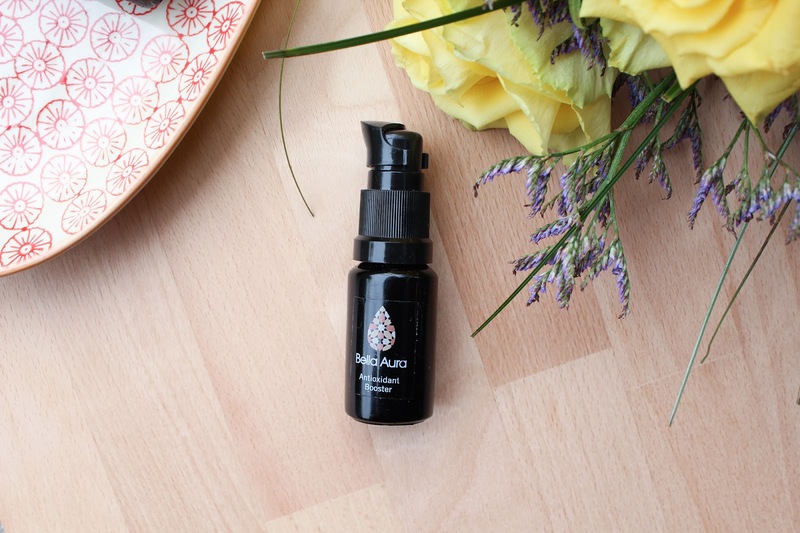 She found serums with 100% oil slow to absorb into the skin and would leave an oily residue. She then worked with a renowned Canadian formulation chemist to create their Emulsions. Emulsion is a water based moisturizer combined with botanical oils (so it's a mix of oil based serums and water based creams). 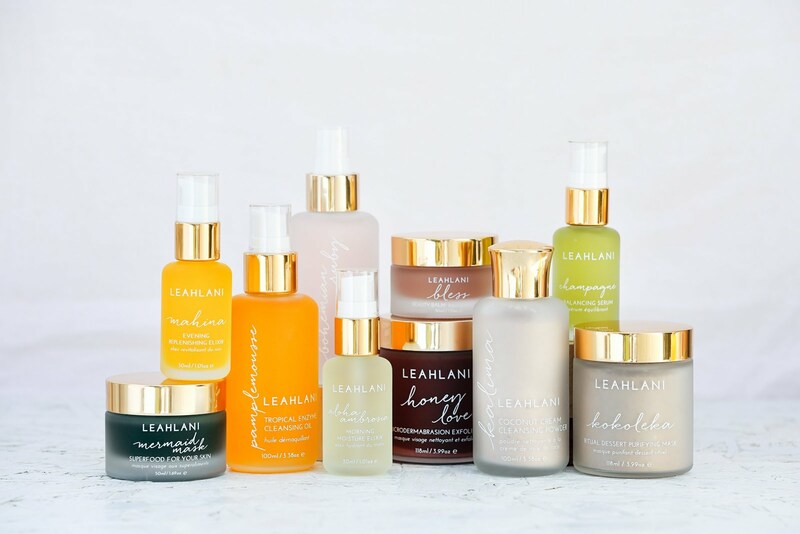 Emulsion formulations have become extremely popular in Asian skin care products because they believe that the most important feature of products is hydration. They're lightweight, quickly absorbed, have the ability to maintain hydration levels and prevent moisture loss and don't clog pores. 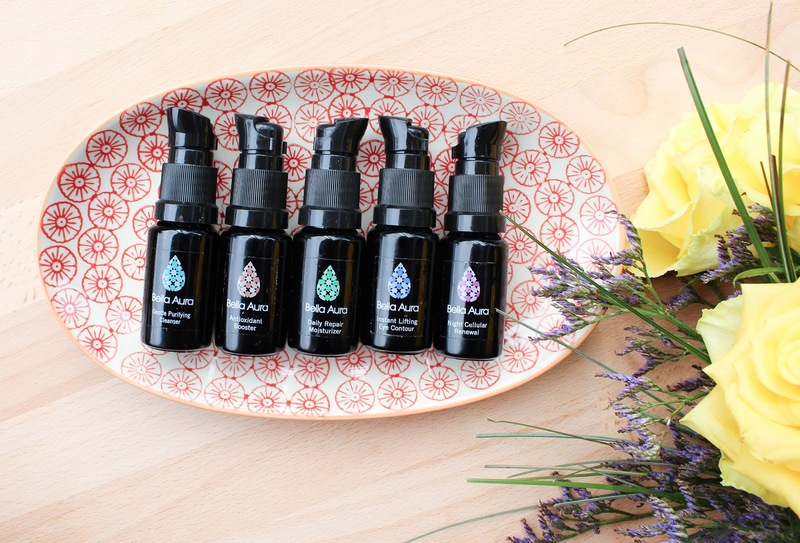 Each of Bella Aura's products also contain their exclusive Kamilah blend of four natural botanical extracts - certified organic Prickly Pear and Argan, and wild-harvested Nigella and Neroli. Gorgeous! Now, before I dive into the products, let me say a little bit more about the ingredients. When I checked them out for the first time I was like hmm. 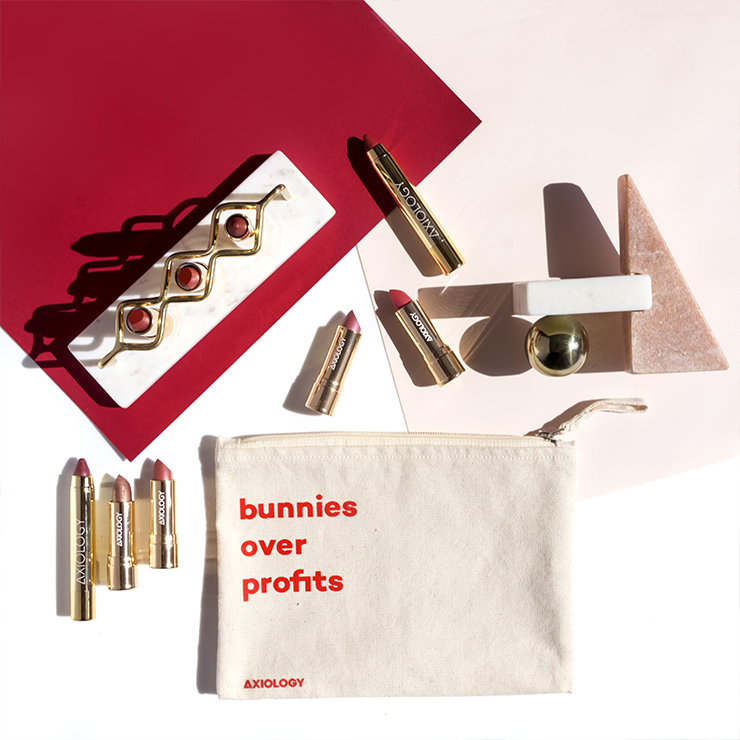 I strive to use products with ingredients that I can pronounce, don't look too chemical-y and that I know or have heard of. Well it wasn't like that with these ingredients so I naturally emailed Jamie (of Petal & Post) and then Yasmine (the founder of Bella Aura). I was completely reassured with her answers. All of the ingredients are 100% natural and a large percentage organic. 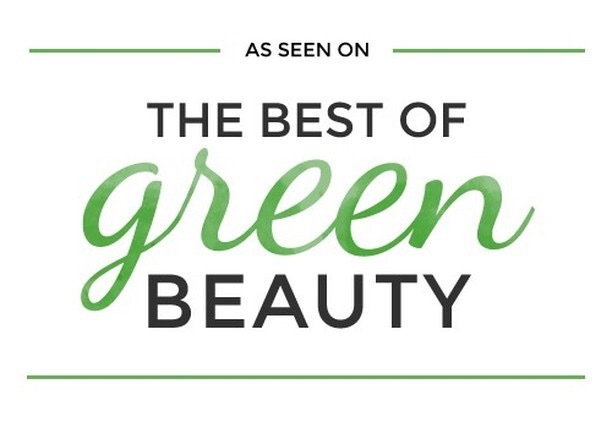 The organic component of the active ingredients ranges from 50% to 80% for the 5 products. As mentioned, they use Emulsions (oil + water) and therefore they need to add ingredients that can emulsify, plus natural preservatives (because of the water). I had an absolute pleasure of trying all five of Bella Aura products and I can honestly say that they are amazing. I only used them for a short time because of the small sample bottles but nonetheless, I still saw results. My skin was healthier, calmer, smoother and more radiant. I was very pleasantly surprised. They are all quickly absorbed into the skin and are very moisturizing, soothing and also clearing (which is great for my combination skin). 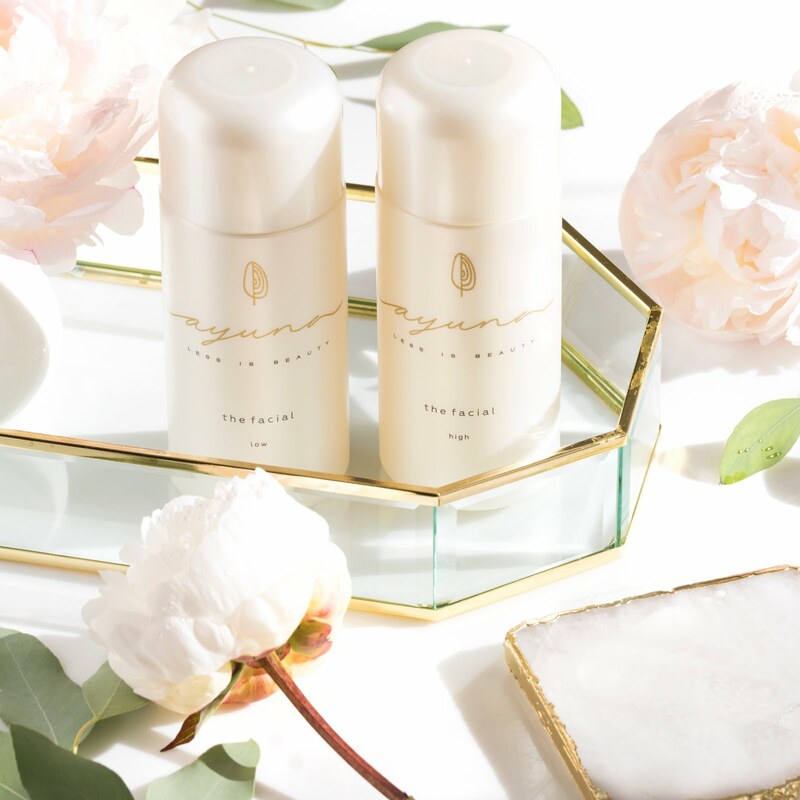 Gentle Purifying Cleanser* has a lovely, creamy-like consistency, a velvety smooth texture. I liked using it in the morning. Not much to say other that it's a lovely cleanser to start of the day. Here let me also mention that I really like the packaging and that the brand and design was inspired by a person's aura. Several authors associate certain personality traits with the different layers of the aura’s colours. Cleanser's logo is blue and blue symbolizes calmness and projects tranquility and inner peace. Antioxidant Booster* is one of the two products from the line I thoroughly enjoyed. First the name, I'm a sucker for antioxidants and I always like to use a products that's rich in antioxidants. Active ingredients in this product are Romarinic Acid from Lemon Balm offers a stronger antioxidant activity than Vitamin E and helps prevent free radical cell damage, Rutin also has a very high anti-oxidative capacity, and the ability to increase collagen production, and Barley Extract, rich in the trace elements Selenium, Zinc and Manganese. Besides the antioxidant properties this product also drawn me in with its ability to reduce the look of dark spots, discoloration and redness. I did see results in that and I'm certain I would have even better results if I had a bigger bottle of this gorgeousness. A beautiful product. It's logo is orange - symbolizes a burst of energy and creativity and projects a radiant glow. Daily Repair Moisturizer* is said to provide better hydration than Glycerin or Hyaluronic Acid and is proven to reduce trans-epidermal water loss and dramatically improves skin hydration. Yes, this moisturizer is hydrating but I can't say I saw major change in my skin. It's a nice product but not the first product from the line that I would recommend. Then again, I did only use it for two or three weeks. The green in its logo communicates renewal and projects healing, rejuvenation and a sense of nature. Instant Lifting Eye Contour* helps the delicate skin around the eyes to instantly look brighter, smoother and more even-toned. 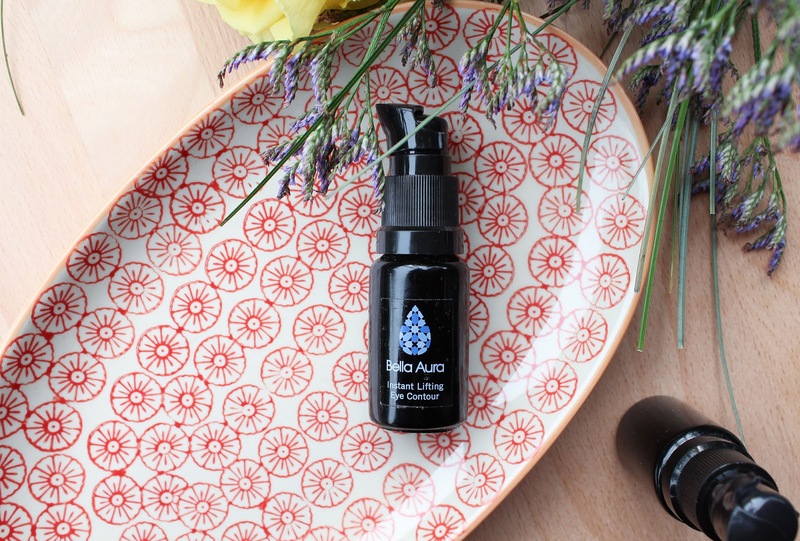 Like other Bella Aura products, this one is also rich in vitamins, minerals, fatty acids and peptides. A lovely eye cream, indeed. One thing I have to mention with this eye cream, or rather with its pump. There is just too much product for one use with one pump and unfortunately you can't press it lightly so you always get the same amount of product. I tend to use the rest on my neck, so it doesn't go to waste. I'm sure my skin on the neck is perfectly content with that. The eye cream's logo is indigo, which represents our spirituality and intuition. 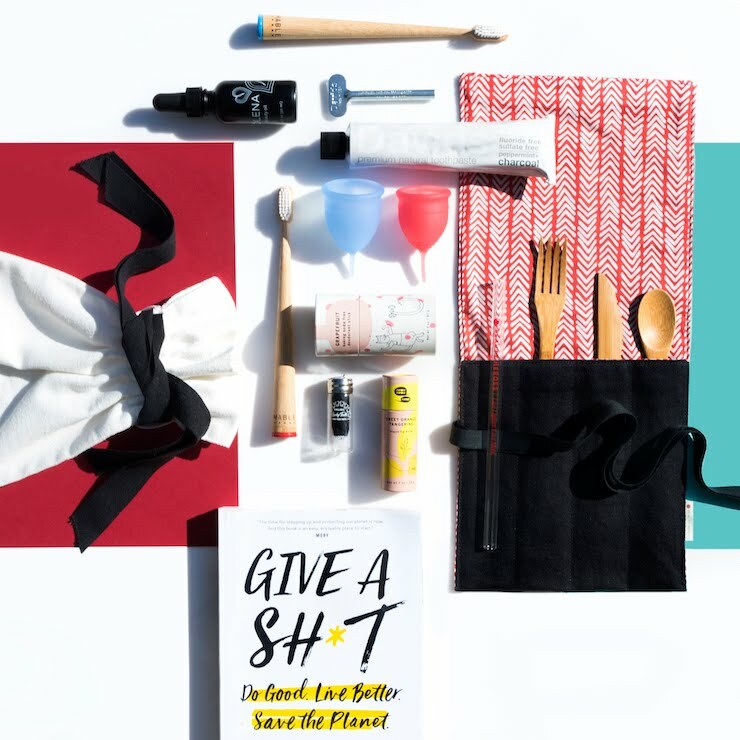 Indigo projects a heightened sense of awareness. Night Cellular Renewal* is the last but most certainly not least. Such a beautiful product! This one and the Antioxidant Booster are the winners for me. 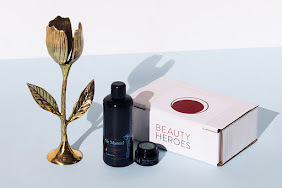 Like every other Bella Aura products this one also contains some interesting ingredients like Gynostemma Pentaphyllum (aka the immortality herb in China) and Cistus Incanus (aka the plant of beauty). Wow, right? Provides a lot of hydration and is just a gorgeous product. Pink (in the logo) evokes compassion, beauty and love. It projects warmth and passion. Bella Aura products sure are beautiful and they made a huge difference in my skin when I used them. Not only that my skin looked healthier, less red and had less spots, but I also noticed it was much more hydrated and supple. 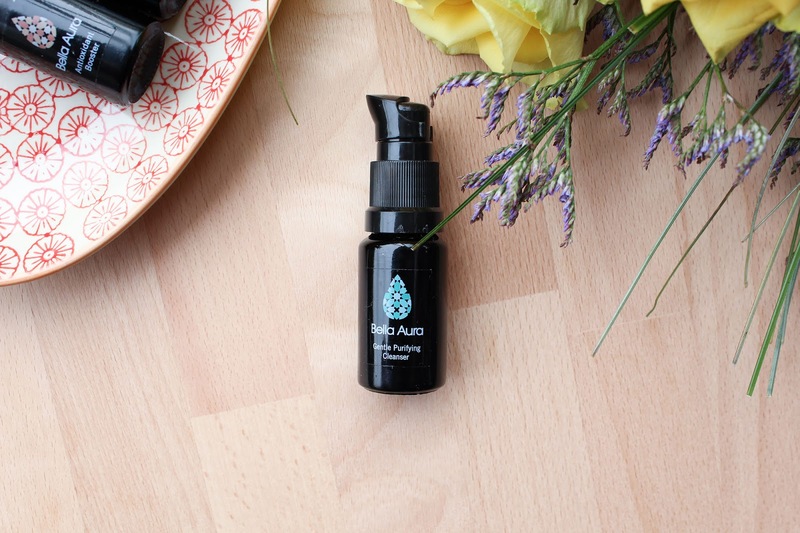 There was this one morning when my skin was particularly hydrated, soft and fresh looking. 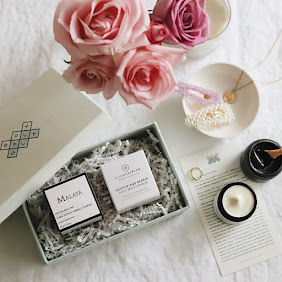 Yasmine highly recommends doing a facial massage with her products and when doing my kind of version with the Antioxidant Booster and Night Cellular Renewal + I helped myself following Mari's short demo, my skin was so freakin hydrated and nourished the next morning I couldn't believe it! The two products were still on my skin hydrating away. I was blown away, ah-mazing! 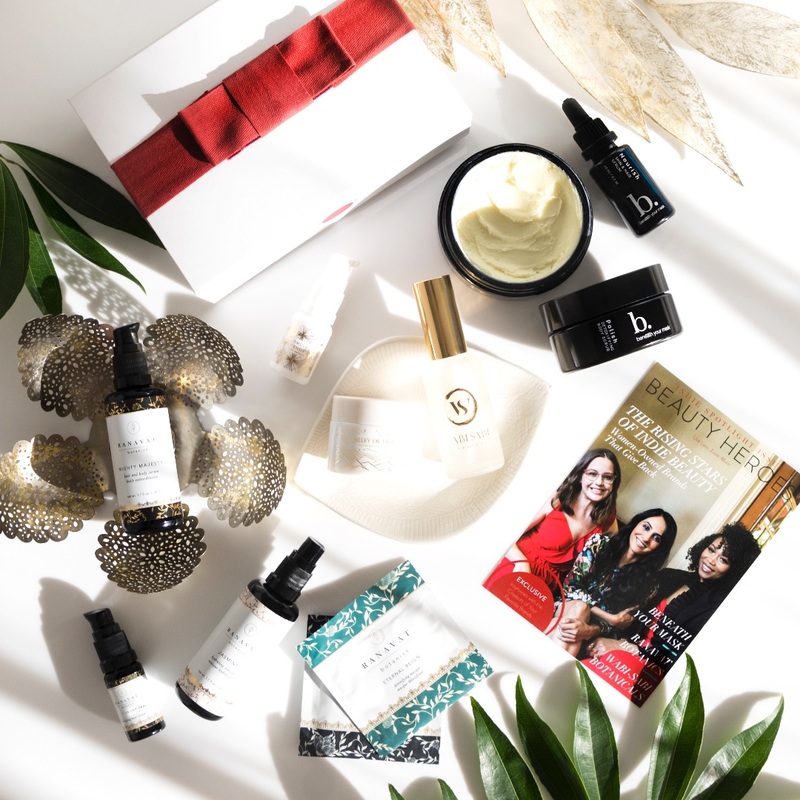 - make sure to follow @smallbitsofloveliness, @petalandpost and @bellaauuraskin. Giveaway is international and is open for one week. I will contact the randomly selected winner via DM on Instagram and if she/he doesn't respond in 48 hours, I will pick another winner. 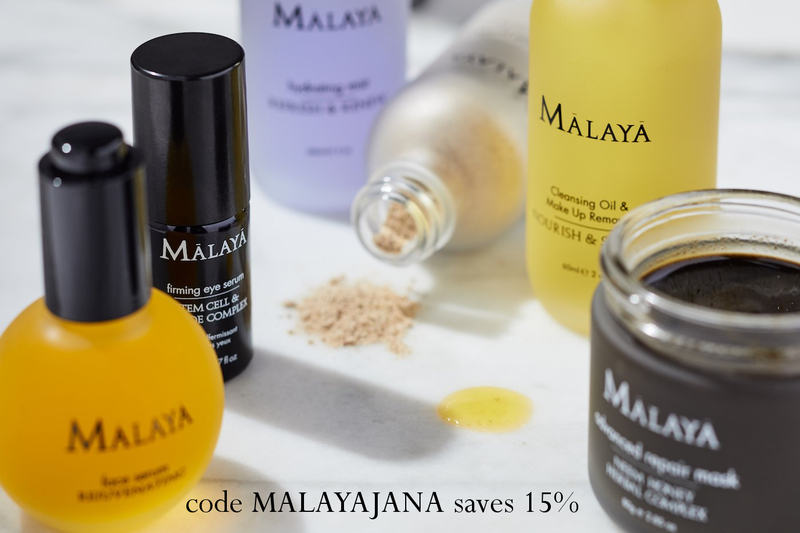 If you fancy some other products from the Canadian Organic Beauty Store, then you can use my code "smallbitsofloveliness" with which all my international followers get free shipping. One x use.